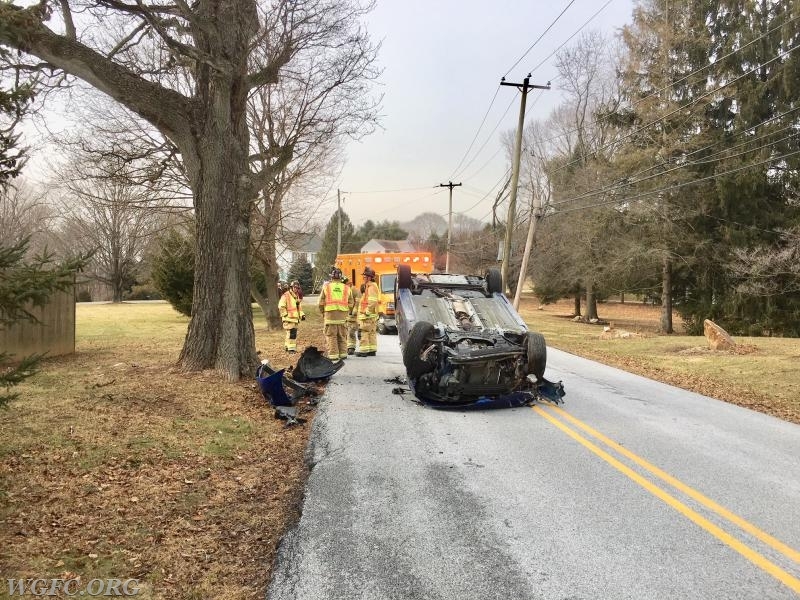 At 14:22 hours on February 9, 2018, the West Grove Fire Company was dispatched to the 400 block of Lewisville Road in New London Township for a report of a vehicle into a tree and overturned. 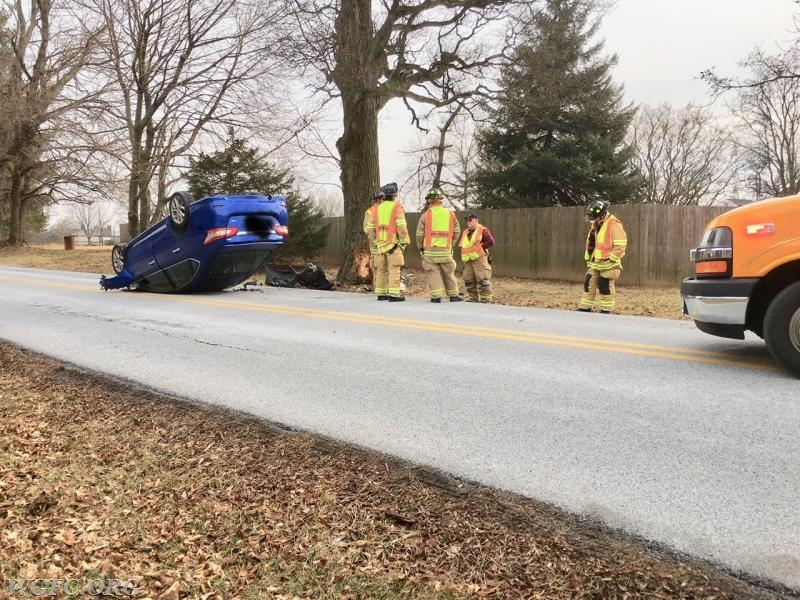 West Grove units arrived a few minutes after dispatch and the first arriving ambulance reported the patient had self extricated from the vehicle with the assistance of nearby bystanders. Rescue 22 and Ambulance 22-1 evaluated the occupant and controlled vehicle hazards. 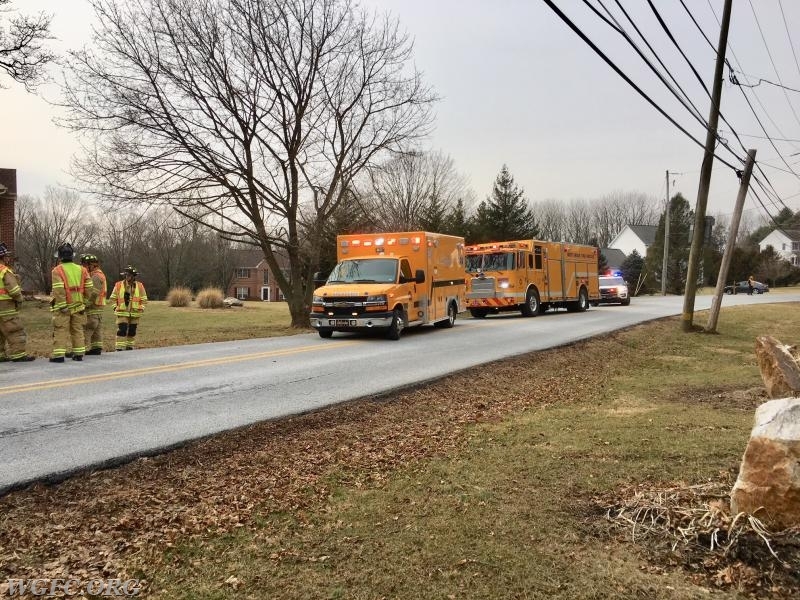 The incident was scaled back to Rescue 22, Engine 22-1 and Ambulance 22-1, until PSP arrival and towing services. 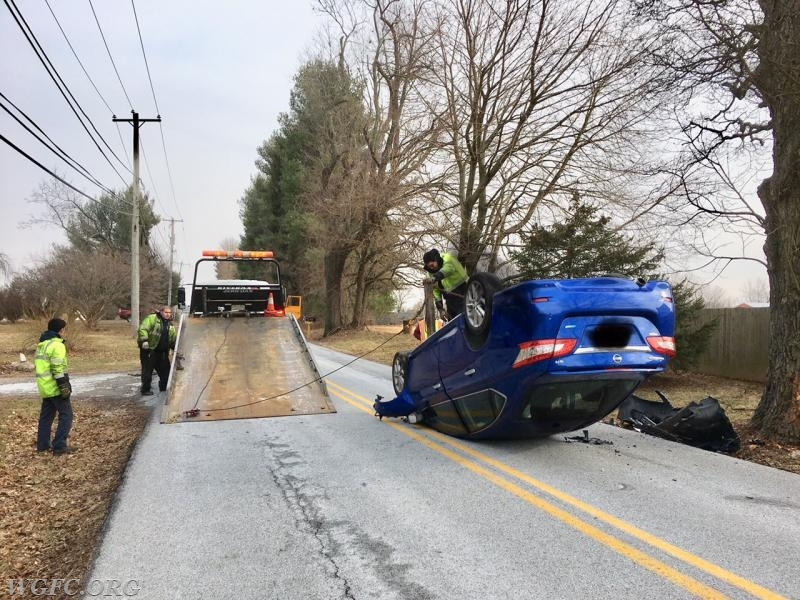 Units operated on the scene for about an hour assisting with traffic control until the vehicle was removed.